Lowering the suspension may be done for a variety of reasons, in racing applications the improved rear wheel traction and lowered center of gravity is the usual reason for lowering the suspenison, while others may like to lower the suspension in order to match the bikes hieght to the rider, that is reducing the seat height by dropping the suspension. NEWS - NEW LOWERING KITS! Lust Racing launches a wide range of new motorcycle lowering kits for Aprilia, BMW, Honda, Hyosung, Kawasaki, MV Agusta, Suzuki, Triumph and Yamaha. Lowering kits for motorcycles manufactured in roll forged steel stronger than the standard parts replaced. Finished in black powder coating with Lust Racing logo in red and silver-chrome. Excellent fit and finish. 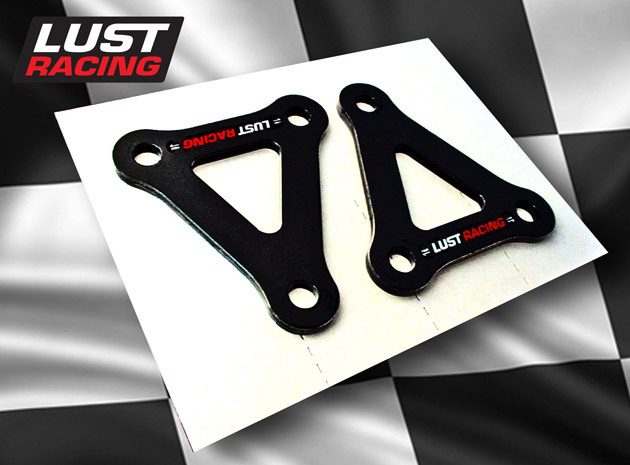 All Lust Racing motorbike lowering kits are supplied with installation instructions. Now also centrally mounted wide suspension links found on some Honda and some Yamaha models, made out of aerospace T6 aluminum, fitted with NTN needle bearings and dust seals. NTN are OEM suppliers for both Honda and Yamaha. Thanks to superior materials and real needle bearing construction our suspension links for Honda and Yamaha models are strong. For your safety, do not buy inferior aluminum links with only bushing's replacing the needle bearings. Lust Racing (UK) manufactures suspension lowering kits using only the best materials and modern machining and manufacturing processes. Our lowering kits are designed, engineered and manufactured in United Kingdom. You can buy with confidence! You get a full 14-day return right (terms apply). When you buy at LustRacing.co.uk you buy factory direct. Lust Racing Ltd. designs, engineers and manufactures motorcycle accessories and motorcycle lowering kits at our factory in SE London. All our lowering kits are engineered and dimensioned to be stronger than standard parts replaced. We use first class material. The major part of our lowering kits are made out of roll forged steel. The only exceptions to these are a few lowering kits for Yamaha R1 models with suspension links made in 6061-T651 aerospace aluminum which also are beefed up with additional material thickness. These YZF-R1 suspenison links are supplied with pre-installed NTN needle-bearings and seals. Other exceptions are rear shock absorber spring retainers made in aerospace aluminum for a few modern classic Triumph models such as Daytona 955i, Speed Triple 955i and early 2005-2010 Triumph Speed Triple models. The top quality of our lowering kits has been recognised, today Lust Racing supplies Aprilia, BMW, Honda, Kawasaki, MV Agusta, Suzuki, Triumph and Yamaha brand dealerships with lowering kits. We also supply two of the five largest motorcycle manufacturers directly with lowering kits for specific market areas. 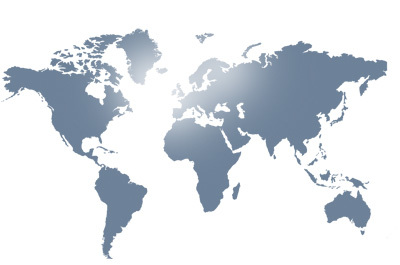 Our customers range from racing teams, motorcycle manufacturers, brand dealerships and dealers, workshops and indeed to private customers worldwide. All our lowering kits are supplied with installation instructions. We keep all our lowering kits in stock at all times. All lowering kits on our website are available for immediate dispatch upon receiving full payment unless otherwise specified. No matter if you are a large company purchasing large volumes or a private customer purchasing just one kit every customer is a highly valued one. We want all our customers to be 100% satisfied with the products and the service we provide. We believe in the old saying "Only happy customers return!". We do our best to develop not only our products but also the services we provide. We are grateful for your feedback and all suggestions. Our aim is to provide high quality motorcycle accessories, parts and racing products to a competitive price. Should you against all odds not be satisfied with the products or the service we provide, just contact us. We are always willing to resolve any issue.